Its HERE!! 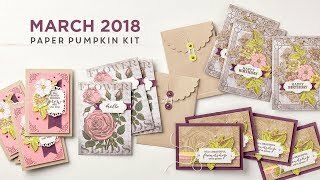 March Paper Pumpkin kits are arriving this week nationwide, have you opened yours up?? I'd love to see some alternate projects you come up with!! I'll be busy working on some personal projects this month, so I was happy just to follow the instructions as-is! :-D Sometimes, keeping it simple is easiest! Simple can be so striking. The bold black and white patterns with the simple greeting would work well in other cards. There are several papers that come to mind, but basically any bold monochromatic pattern will work to swap in here. The beauty in the detailing of the sewing, and the little accents in the stamps show us that the greeting can be the focal point all by itself. A splash of color really adds some pop. The way the yellow stands out, or those little blue epoxy stickers glistening as you open the card. Simple layout that you can easily swap pieces into. 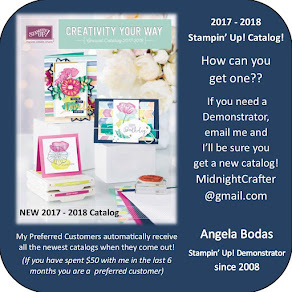 Be sure to check out other ideas for using this months project on my Pinterest board!